I’m guessing you‘re keen as mustard to learn about how food photography pros make magic with their pics. You want to turn GOOD images into GREAT ones. Let me share my editing secrets with you. "How can I learn to edit my images like a rockstar and take my work to the next level? I want to create perfect pics now! I just don't know where to start." "My colours never stand out. I want them to be awe inspiring, not boring. I crave for my dishes to look delicious and rich in colour. I'm always so disappointed when I spend all that time and my food comes out dull or the incorrect colour." "I can't get away from the dull factor. I want my work to be gutsy, I want to create striking images that have contrast and pop. I dream of being able to tackle flat light when it comes to editing. Don't even get me started on my moody images. They're always just underexposed and lack that special something." "I envision bright and airy images that scream ‘WOW’. I just don’t know what I am missing, or how I can make an image stand out. I'm not able to get the white balance that I envision and I spend hours trying to correct it only to make it worse." "I want to be empowered to know what little tweaks make a powerful image, and the time I spend editing isn't just going to result in a dull image. I want to feel confident to get more higher-end clients or the right kind of traffic to my blog." And maybe you’re thinking: holy crap, how long will it take to get really good at this? I get that you’re ready to improve your photography and styling skills BIG time. Come out the other side with some major editing wizardry in your toolkit, my friend. Dramatically increase your editing wizardry in just 30 days. You'll have the ability to powerfully understand elements and definitions in photography so you get the 'whys' and can apply the 'hows'. Feel confident in choosing a unique workflow that matches your editing vision for your final image. Knowing your editing style will be immediately recognised by your fellow creatives. The skills to create stunning imagery that will make your portfolio stand out like a show-stopping, Nigella Lawson-worthy dessert. With the knowledge to understand that there is more than one way to get a desired outcome. 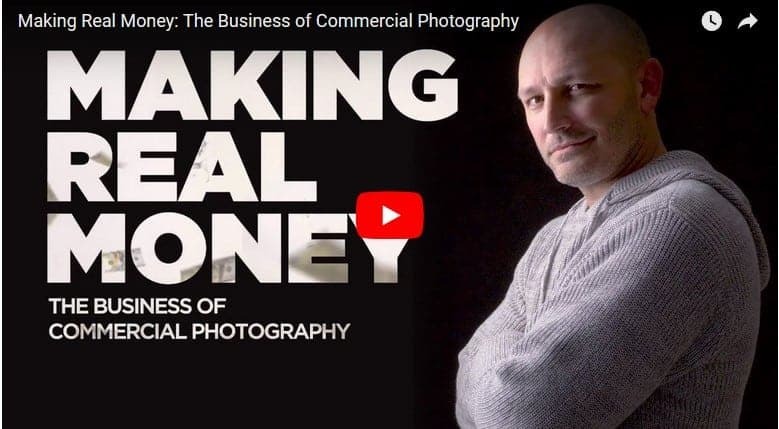 The opportunity to get a FULL behind the scenes look at how I edit my images including the entire editing process that has allowed my work to be featured in coveted publications about the world. But you see a whole raft of editing courses out there and none are run by food photographers who’ve had serious success in the industry. You’re looking for a bespoke editing course that is tailored specifically to food photographers and doesn’t try to cover the whole dang field. That’s why I created Lightroom Magic. Because I truly want creative rockstars like you to be empowered with knowledge and real life skills so you can start creating those amazing photos you’ve been dreaming of right now. Photography is more than just what you see in the frame. You’d never serve just the cake batter. You’d ice that bad boy, dress it up, make it jaw dropping. You’ve got to make the image. ‘Making’ an image involves quality editing to create your ultimate vision. It allows you to add your own personal stamp, your unique style, your special sauce. Before Lightroom Magic I felt lost in editing. I had a vision of what I wanted my images to look like, but I had no idea how to achieve it and always felt so disappointed. I've gained so much confidence with Rachel's teaching. Her tone curve lesson was life changing. Engagement with my work is much greater and traffic to my blog has never been higher! This course opens your eyes to the possibilities which can be achieved through good editing skills and I no longer feel stuck about how to take my work forward. I've seen real progression in being able to edit images with colour tones I like. I feel confident that I can edit images in a more consistent way using local adjustments over global to guide viewer's attention. I now have better images, direction and confidence in my work. - Laura, Laura Elizabeth Patrick Calligraphy + Photography. Rachel is an exemplary mentor who understands how to present complex material in a way that is both accessible and fun! 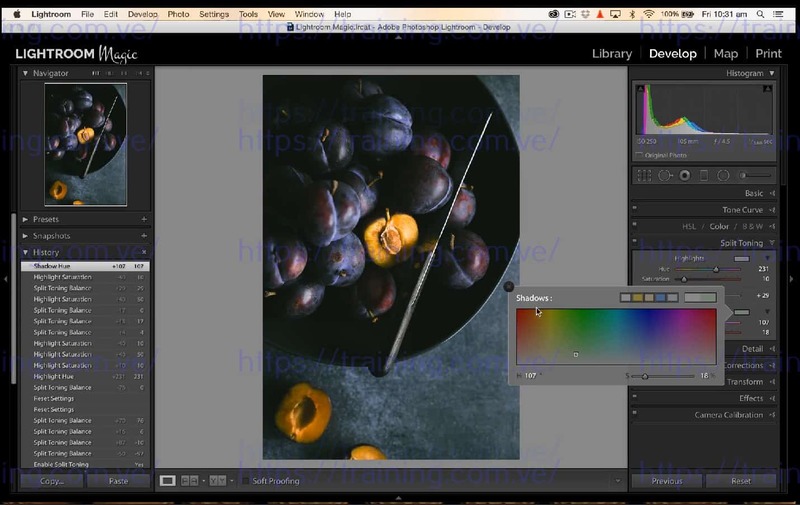 Lightroom Magic was developed and taught by a food photographer. It is that simple. Learning from someone who understands the aesthetics of food photography just makes sense. My workflow has become much more efficient which allows me to create final images with visual impact. KICK YOUR WORK UP A NOTCH! Maybe you wanna tip that burning passion of yours into well paid freelance work and learn the real secrets to help you stand out from the plate-snapping crowd. Perhaps you’ve got your culinary sights set on seeing your work in the world’s top magazines but to do that, your images needs to shine like the glistening chocolate glaze on a Martha Stewart creation. AND to really make them sparkle, you need to learn how each adjustment panel and tool plays to the strength of food. You need to immerse yourself in food imagery (like, bury yourself in lovely food pics until you can’t tell a sticky rice noodle from a curly fettuccine strand). OK, so when you jump into this hot little gem of a course, you get to unlock my entire editing process, one that’s landed me gigs in magazines all over the world. The secrets, tools and know-how that’s allowed me to work with inspiring clients from around the globe. Lightroom Magic is here to give you a back stage pass into exactly how I edit my images and to create the pictures that have been featured in prestigious publications all around the globe. The ones that allowed me to leave my 9-5 job to pursue this burning passion of mine. You'll have ongoing access to all online materials, as well as the chance to learn as you go in your own time. I'll help to empower you to create a unique workflow that sets you apart from the crowd by playing to your strengths and special style. With over 25 video tutorials and cheat sheets, spanning across 5 modules, you'll get up close and personal with core editing theory for food photography. It's your opportunity to learn what makes a great image and understand how to create a unique workflow for your style of photography. You'll also gain skills in crafting presets. Put exactly what you're learning into action by making adjustments to my RAW files after each lesson with a guided exercise to ensure all the knowledge bombs you're learning stay top of mind. Unlock my entire editing process with the secrets, tools and know-how that’s allowed me to work with inspiring clients from around the globe. Exclusive insight into my entire editing process (I’ll run you through exactly how I edit high-key and low-key imagery). I'm confident that you'll LOVE this course and I genuinely want you to succeed, which is why I offer a generous 30-day money back guarantee. If you do the work, implemented the core editing techniques for food and don’t see any improvement to your work, simply let me know within 30-days if you’d like a refund. Please note some countries have additional VAT that may be applied at checkout. Well, you’ve wandered into our little Lightroom hall of magic: before and afters. Become empowered to know the REAL concept of contrast, both tonal and colour. Learn how the combination of warm and cool colours can transform an image. Plus, my signature Tone Curve that takes my images up a notch. Wave goodbye to 'flat' and 'dull'. Know how to make powerful adjustments to exposure for a more dynamic image. Explore the KEY concept of luminance and why it's your secret weapon in food photography. Learn not only how to colour correct your images, but to ENHANCE them with the HSL Panel. But we go beyond that to uncover the 8 ways to tackle colour in your images that will allow you to create a unique workflow. No more struggling with white balance. Throughout the course you'll learn new ways to think about white balance and all the ways to tackle your white balance frustrations. Both locally and globally. I really had limited knowledge of how to edit. I felt restricted and like I had to wait for perfect lighting conditions to shoot. But now I can edit an image no matter what! It's opened so much time for me. Until Lightroom Magic I waited to be approached by clients. Shortly after taking the course, I was booked by two clients and nominated for a blog award! When I purchased Lightroom Magic it was more than I had ever expected. The amazing skills and mastery Rachel transfers (with a massive amount of detail) has allowed me to go from being a complete editing rookie to an editing ninja! I’m excited to practice, knowing I can eventually produce similar images to those professionals I see! Since taking the course I've been able to create better images. For the first time, my images pop!! After taking Lightroom Magic, my images are better quality and I am getting more engagement from my audience. I am more inspired and excited about my work! I have gained confidence with using Lightroom and I absolutely love how my images look! I now feel confident to approach brands with my work. The nitty gritty – let’s break it down, shall we? Cool, you’re a details kinda person (what photographer isn’t?). Got it. I like crossing my ‘T’s and dotting my ‘I’s too. Learn why post processing is so important, the real power of RAW files and how to get truly savvy with your Histograms. We'll also take a peek at the common trends in my Histograms. You'll also get super familiar with definitions that'll exponentially improve your photography. Discover the power of each global adjustment tool, why they provide a solid foundation on which great images are built and how to truly harness them in your food photography. Uncover the amazing potential of your image with targeted adjustments, which allow you to have full control over your editing vision for your image. The key in food photography is the 'little details'. You'll learn my layered approach to produce that 'WOW' factor. Become empowered with what makes a GREAT image, and all the ways you can add that WOW factor to your image by focusing on exposure, colour and contrast concepts. I'll also take you through step-by-step to find your own magic: your unique workflow. Take a journey with me to uncover how I approach editing, (for both bright and moody images). I'll take you through my process start to finish, as well as give you access to recreating my steps with a RAW file. We'll then learn how to craft presets and re-create a vintage/film look. Unlike other video tutorials, Rachel gave me complete knowledge without leaving me with more questions. I can now fix problems I didn't know how to handle previously. I really feel like a master of Lightroom now. I'm excited to be able to control every part of the editing process the way I want. I've enrolled in photographer workshops before, but the learning was always very limited and I wasn't able to meet my vision concerning food photography. Lightroom Magic was a break through. I'm able to look at a picture and see what are my major problems, where I need to intervene to make that picture closer to the one I have in my mind. I have been using Lightroom for years, but I felt it was time to refresh and get more inspiration. when communicating with Rachel - she is massive talented in both the technical and the creative part. The image critique for for me a game changer. I’m Rachel, an Aussie food photographer. I love capturing visual stories and adore bright, clean and uplifting imagery that emphasises the beauty of real food. When I take photographs, I focus on the honest details and intricacies that connects us emotionally to food. My work has been featured in a range of magazines and publications all over the world including Bride Magazine, Woolworths, Huffington Post, West Elm, Nourish Magazine, Robert Gordon, Decor8, Aldi and more. More importantly, though, I know what it’s like to sit in your 9-5 gig and want something more. And I LOVE teaching and empowering others to find joy and inspiration in their photography and creative life. BUT hold up yo! I want to make sure this is 100% right for you. Cool creatives who love to shoot food. Beginner food photographers, hobbyists, intermediate and semi-pro or self taught photographers, food bloggers and Instagrammers. Anyone wanting to know core editing theory for food photography and harness the power of editing make food images powerful. People who want to kick their food photography up a notch – you know your work needs a bit of buttercream frosting on the cake but you’re not sure what kind of flavours you need to become a pro. Beginner and self-taught Lightroom users who want to move beyond the basics into the serious food styling and photography zone and fast. Lightroom lovers who now want to tailor their use of the program to food photography. Masters of Lightroom and Photoshop (you’re the bomb but you’ve got this!). People who just want to know keyboard shortcuts and how to customise Lightroom. Photographers who aren’t into the food thing or food photographers who won’t shoot RAW files, ever. You bet-ya! I genuinely want you to succeed, which is why I offer a generous 30-day money-back guarantee. If you do the work, implement the core editing techniques for food and don’t see any improvement to your work, simply let me know within 30-days if you’d like a refund. You can find almost anything online these days...but does that mean it’s legitimate and helpful? Not at all! Much of the free stuff you find online is simply unhelpful, but most people just don’t know what to look for when trying to find real, actionable advice. I can tell you that with both a degree in teaching and 5 years of teaching myself food photography, you’ll find information you can’t find anywhere else, packaged up into a step-by-step process that doesn’t require you to spend hours and hours sifting through Google or YouTube for ho-hum advice. And let’s face it, most of the free stuff you find is so basic. You’re in this community because you’re looking for something more that will kick your work up a notch. I’m busy! How will this course save me time? I get it. My goal is to provide you with actionable information that you can implement right away...not “fluff” that sends you in a million different directions. You’re saving time by joining Lightroom Magic and getting an actual system and workflow to accomplish show-stopping imagery, rather than watching hundreds of editing videos that aren’t tailored in ANY WAY to food photography. All videos and content are intentional and have your time interests at the forefront. I’m just starting out. Is this course going to help me? It sure will, because I created it from a place of knowing what it is like to start from square one. I’m not going to bedazzle you with crazy hard technical terms. There is support every step of the way. Each course lesson builds upon one another to create a solid foundation. Cheat sheets, lesson recaps and tasks ensure you retain all the knowledge you need to create your unique style. I’ll show you the exact system you can follow until you find your feet. I’ve used Lightroom for years. Can I get anything more from it? I felt that way too. But being able to use the program doesn’t always translate into understand the concepts behind what makes a great image or the core aspects of food photography editing. If you didn’t know that there are over six ways to add colour to your image, over eight ways to add contrast to your image, OR over six ways to add exposure to your image then you are missing out on the opportunity to truly harness a unique editing process that translates into stunning work. Good question! The course materials are shared as video content. We’ll cover key ideas for each lesson, common mistakes and pro tips, before diving into the Lightroom action. There are also cheat sheets for each lesson with the key ideas, so you stay on top of the new knowledge bombs you’ll be learning. There is also no time limit on the course, so you can learn at your leisure. Take in one new lesson a day or binge watch. It’s just like Netflix; fits right in your schedule. I don’t shoot food. Should I still take this course? I totally believe this course will unleash your inner editing wizard and is a crucial part of the photographic process. The theory in this course transcends food photography and can be applied to editing as a whole. HOWEVER, the content was made specifically for food photography and is heavily tailored to food. ONLY food photography is edited in this course. So if you NEVER plan on shooting anything food related, I recommend you take a look at the other wonderful course options you have within the niche you shoot. You sure can. This course can be purchased for three payments of $107USD and is available as an option when you check out. You can get started today for less! Does this course come with Lightroom? At this time, students will need to already have access to Lightroom or purchase the program through Adobe CC. If you don’t have Lightroom and aren’t sure if it is for you, Adobe has a FREE 7-day trial. 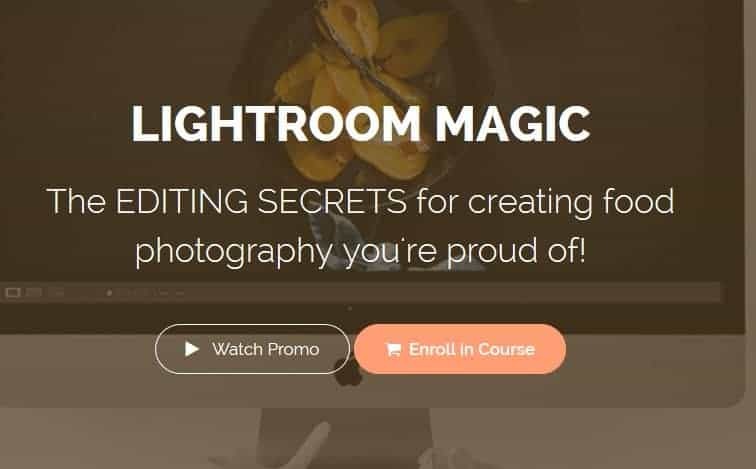 If you want to take this course and use the 7-day trial from Adobe, I recommend you complete a bunch of lessons first then sign up for the trial when you have a list of tasks and lessons you want to go over in Lightroom. Need help working this out? Just email me. I use Photoshop to edit, but I’ve toyed with the idea of using Lightroom. Should I make the switch? This course is much, much more than just how to use Lightroom. It’s a powerful food photography editing system that really teaches you how to create killer work. My techniques can be applied to Photoshop’s Camera Raw. The power lies in ‘how’ to edit. You can definitely learn my system and integrate it into Photoshop. It’s how we use these programs that counts. You CAN be the food photographer you want to be – you just need the right tools and editing skills to make your images sing. That amazing imagery is only a few small steps away. I seriously can’t wait for us to light it up together with Lightroom!